New typhoon may hit Philippines before 2014 ends. 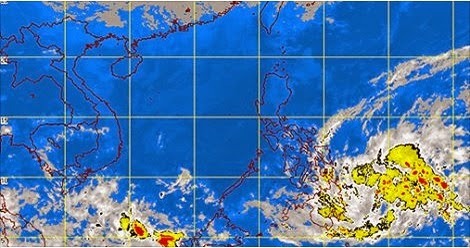 LPA in Mindanao has a high chance to become a typhoon according to PAG-ASA. By the end of December, the typhoon may hit Visayas and Mindanao which may bring heavy rain and flood. Visayas and Mindanao will be expecting for a rainy new year celebration.